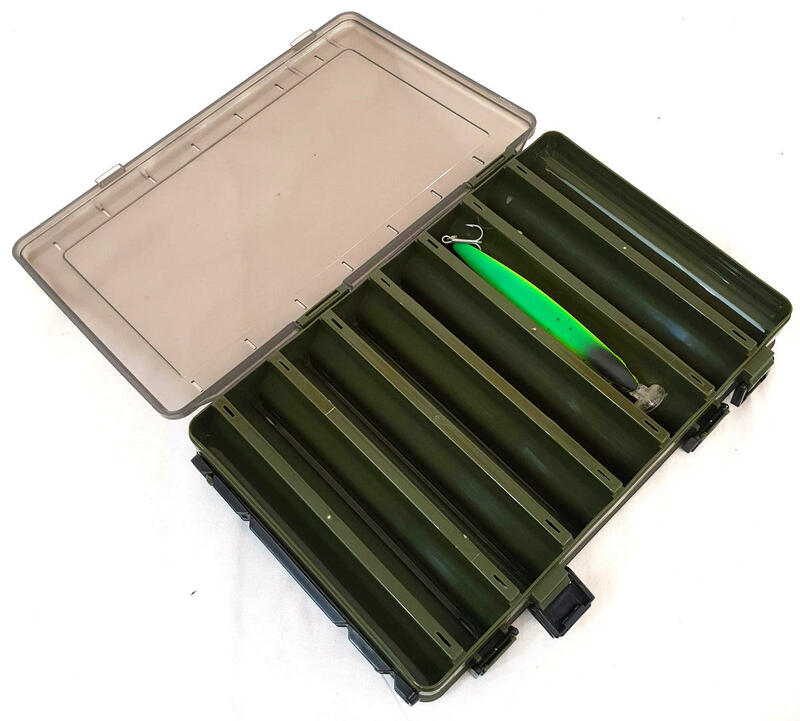 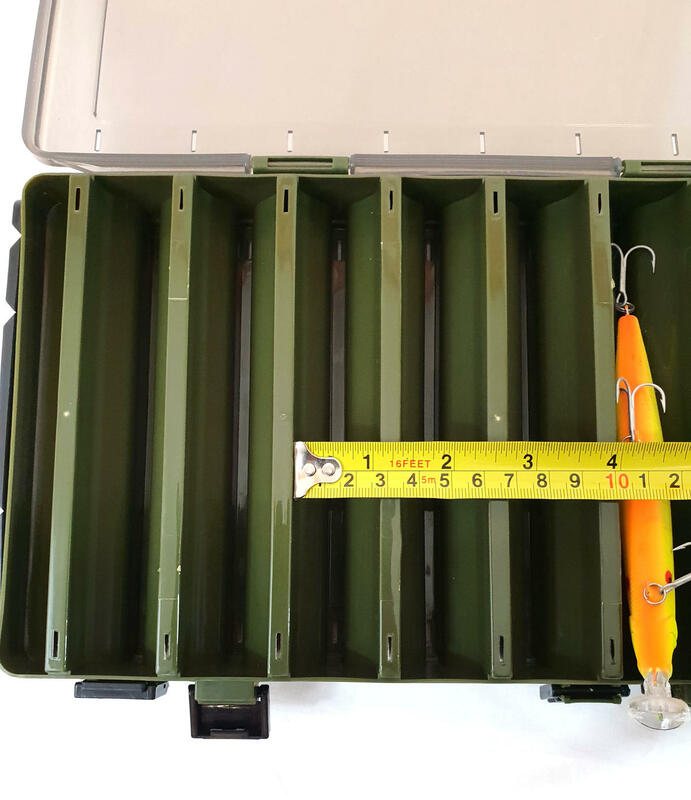 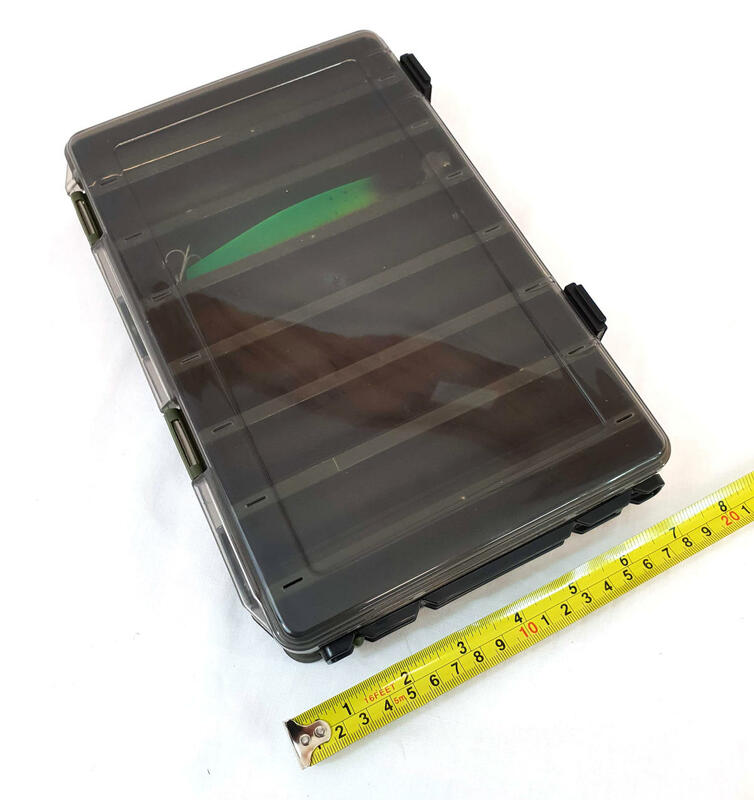 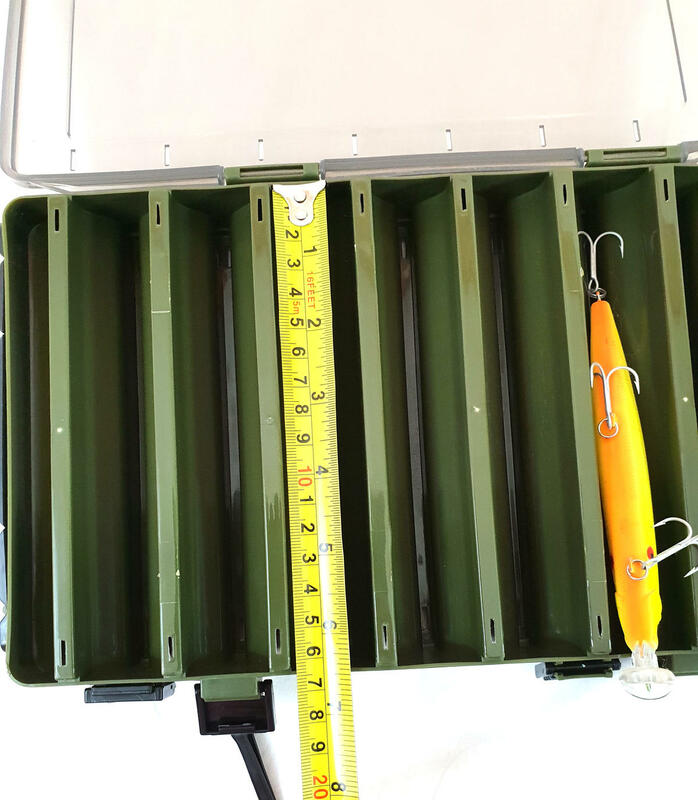 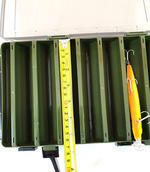 Double sided bait lure box with Concertina type interior for minimum thickness has 14 compartments to store your fishing lures. 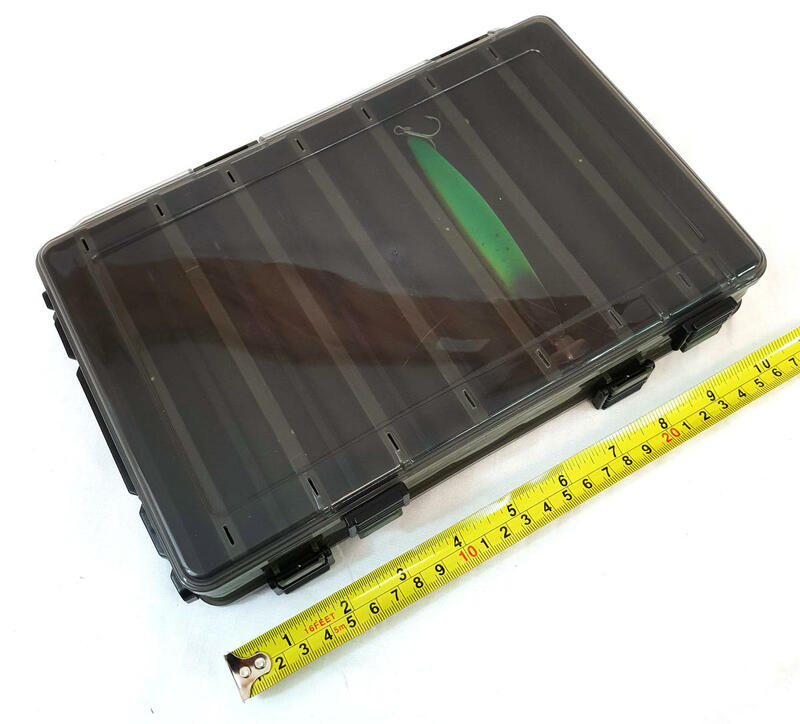 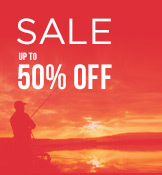 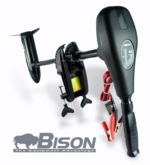 Made from Solid heavy duty weather-proof hard plastic. 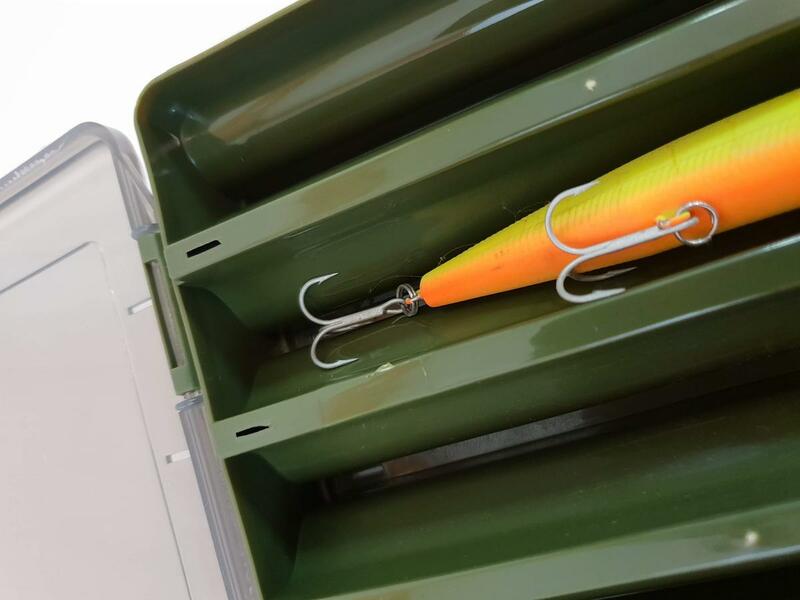 Transparent lids enables locating and deciding which bait to go without opening box. 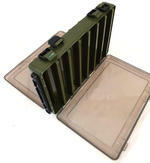 Carry handle is also fitted to the side.